Family Plumbing is your go-to local source for full service plumbing in South Lyon, MI. We offer a wide variety of plumbing services so that you can feel confident in coming to us with any and all of your commercial or residential plumbing needs. If you’ve been searching for a reliable plumber in South Lyon, MI, then you’ve made the right choice in Family Plumbing. We offer a huge variety of plumbing services including plumbing repair and installation, rooting services, piping, re-piping, drain cleaning, water softening, garbage disposal cleaning, water services, water heater repair, toilet repair, shower repair and much more. Our experienced plumbers have the skills and tools to fix a variety of types of plumbing equipment including pipes, faucets, taps, drains, disposals, sewer lines, toilets, showers, sinks, sump pumps and more. We’re your number one source for all things plumbing in South Lyon, MI! We service all makes, models and brands of plumbing equipment including Bradford White, State, Kohler, Moen, Delta, Grohe, Toto, Zoeller, InSinkErator and more. 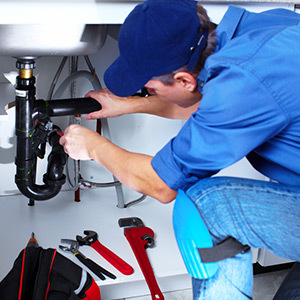 We proudly provide all of your plumbing services within 20 miles of South Lyon, MI. We are a top residential and commercial plumber in South, Lyon, MI. We are your licensed journeyman and master plumber with the great state of Michigan. We are your certified backflow prevention device testers, nationally cross connection certified and your plumbing repair specialists. "They installed a new sump pump. Professional and efficient, highly recommend." "I rarely hire outside contractors but I will definitely use them again if an issue arises that I can't do myself. They were fair and don't n..."
"I found a leaking pipe in my basement before I was leaving for work one day so I decided to call them. They sent two people over to fix the ..."
September 3, 2015 Tony D.
"This is an honest, fair company. Chris came to my home and installed a sump pump very efficiently. I asked him to come the following week fo..."
July 25, 2014 Bill T.
"Family Plumbing helped me quickly when I needed to get my sprinkler system inspected for Oakland County. They also were very accommodating a..."
Whether you’re in need of pipe installation or an emergency leak repair, Family Plumbing is the place to call. We can provide an extensive range of services on a wide range of plumbing products to help you when you need it most!